CHARRIOL is inspired by natural forces with updates to FOREVER Jewelry line. 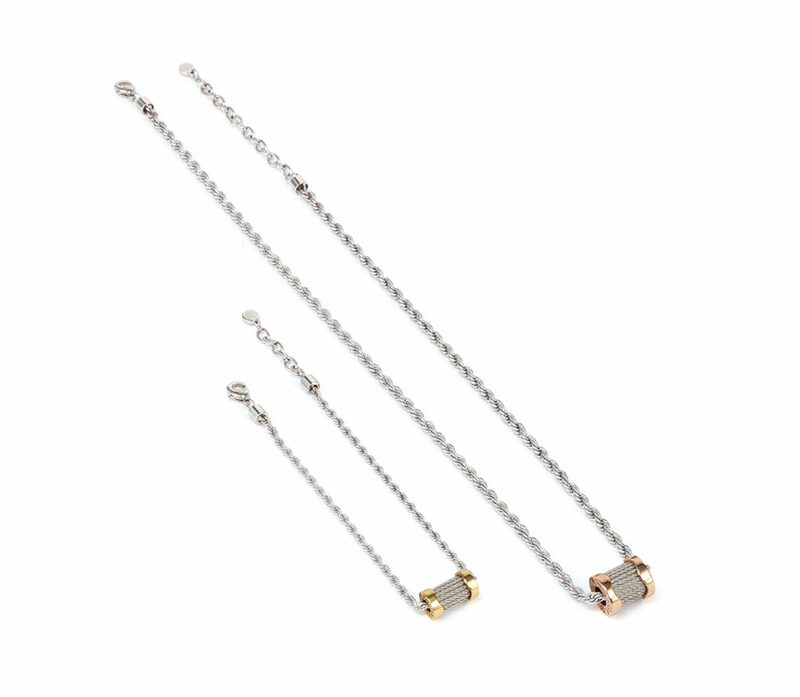 The FOREVER Jewelry line is always fashion forward and features subtle insignia and super-slim reworking of the signature CHARRIOL twisted cable motif. The steel cable is wound neatly between two rims, rather like the thread on a couturier’s bobbin, adding distinctive style and a luxe design detail. 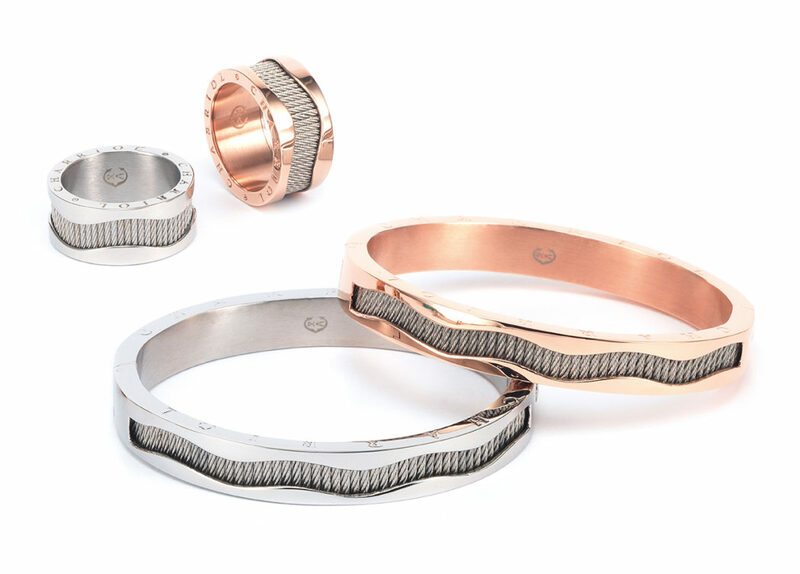 In this new collection, FOREVER Waves, the steel cable is used vertically and set between steel or pink-gold PVD rims and extends to two beautiful bangles and two matching rings. The chunky bands are offset with a curling, arching wave running through the centre. The organic form of the wave and the more masculine, bold design makes them ideal for everyday wear. 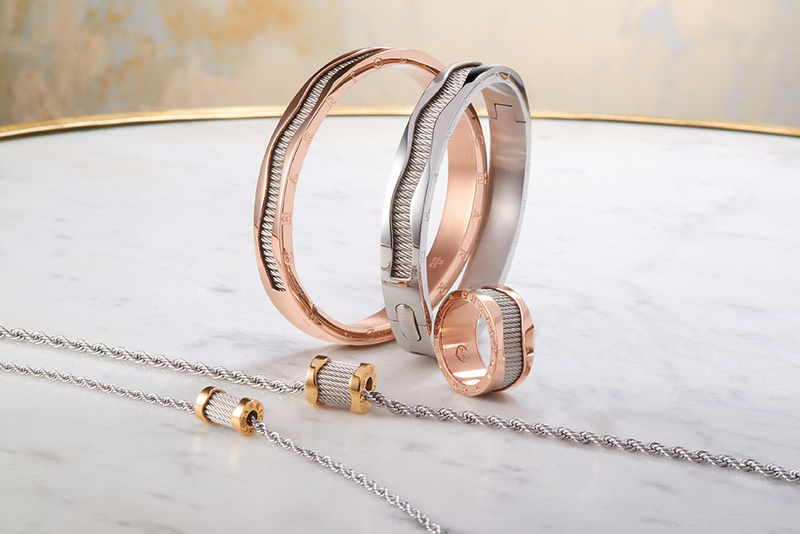 The clip bracelets and rings feature the CHARRIOL logo on the inside and the asymmetric steel cable pattern lends movement to the pieces. People who are water signs of the zodiac, Pisces, Scorpio and Cancer, will appreciate these accessories, as well as those with a love of the sea. The creator of this collection, Coralie Charriol-Paul wanted to make pieces that echo the sea and rippling waves. Reminiscent of Californian beaches, the design of the rings and bangles are inspired by ‘l’esprit libre’, or free spirit, and mirrors the ebb and flow of the ocean.